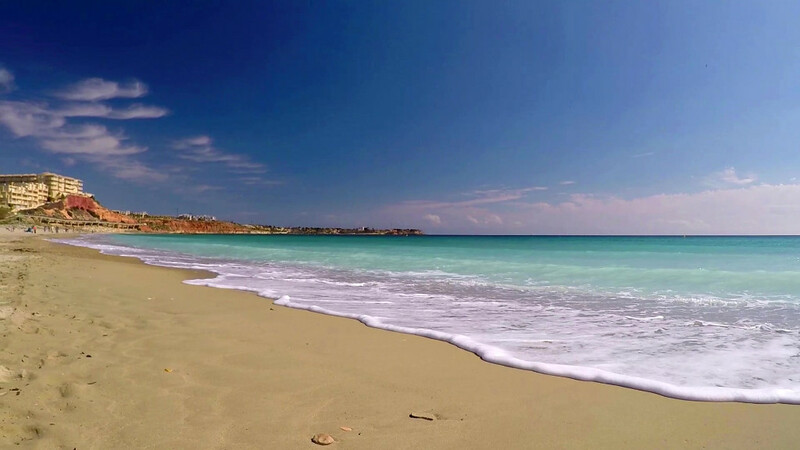 All the beaches in Orihuela Costa met EU standards for water quality in 2016, in fact they have obtained the maximum qualification as far as quality is concerned. As the councillor for beaches Luisa Boné has explained, the results came from the Regional Ministry of Agriculture, Environment, Climate Change and Rural Development, through the Directorate General of Water Resources, as the body responsible for quality control of bathing water in the Valencian Community. The councillor stressed that "for the classification of bathing water in 2016, the analytical results of the seasons 2013, 2014, 2015 and 2016 were evaluated, and depending on the quality of the water at each of the sampling points is obtained a rating that can range from inadequate to good, sufficient and excellent." In order to get the results for last summer (from June 1 to September 15), biweekly sampling was carried out in each of the eleven points located in the bathing areas (Punta Prima, Cala Mosca, Cala Estaca, Cala Bosque, Cala Cerrada, Cala Capitan, La Caleta, Calas de Aguamarina, La Glea, Barranco Rubio and Mil Palmeras) and the analytical results qualify as "excellent" the quality of bathing water in all Orihuela Costa beaches. This is an essential requirement in order to maintain the blue flags that already fly on the beaches. It is also very good news for anyone plannning to buy property in Orihuela Costa, Costa Blanca, Spain.